Welcome to Shawnee Mission Kia, your Kia dealership near me in Mission, KS, where your satisfaction is our top priority. There’s a reason that so many Shawnee and Overland Park drivers choose our dealership time and time again: outstanding service. We know that making the decision to buy a new car can be a stressful time, so we’re here for you every step of the way. At Shawnee Mission Kia’s website, you can browse our entire inventory of new Kia vehicles and used cars at our Kansas City region dealership. Come visit us to test drive a vehicle, speak to one of our experts, or discuss financing options. You can also call us at (844) 899-7927. 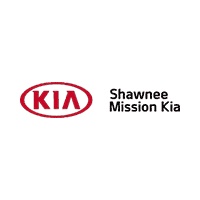 Shawnee Mission Kia provides quality vehicles from Kia to the Kansas City, Olathe and Overland Park area. Our large selection ensures that we have a vehicle for everyone, no matter what it is you’re looking for. Shawnee Mission Kia carries a full model lineup of Kia vehicles including the Forte, Sorento, Optima, Soul, Sedona and the all-new Kia Niro. We invite you to shop around and compare our prices with other Kia dealerships in the Shawnee Mission area. Let us know what you find, and let us give you our best price on the same model. We strive to earn your business and want you to be a Shawnee Mission Kia customer for life! Not looking for a new vehicle? Try our large selection of used cars in Kansas City and come visit us at Shawnee Mission Kia located at 7951 Shawnee Mission Parkway, Mission, KS, 66202. We have a vast inventory of pre-owned vehicles that will be sure to satisfy your used car purchasing needs, from used convertibles, sports cars, coupes, sedans, to SUVs, trucks, and crossovers. Our sales team will be sure to help locate the perfect vehicle for you. The finance staff at Shawnee Mission Kia will get you a low-interest car loan in Shawnee Mission. By working with a network of lenders we make our customer’s dreams of owning a Kia a reality. Get a car loan that you can afford by filling out our secure online finance application. Working with Kia every day isn’t just what Shawnee Mission Kia does, it’s our passion. This means that we’re highly efficient, know Kia like the backs of our own hands, and are as committed to maintaining your vehicle’s performance and aesthetics as you. Wheel repairs, auto glass repairs, muffler repairs, transmission repairs, tire rotations, oil changes, filter inspections… these are just some of the many repair services Shawnee Mission Kia routinely performs. To learn more, contact Shawnee Mission Kia today, or visit us in person at 7951 Shawnee Mission Parkway, Mission, KS 66202. And remember, Shawnee Mission Kia fully supports driver’s decision to fix and/or maintain their vehicles themselves. If you decide to go this route, we’re happy to provide you with all of the manufacturer certified parts you might need along the way (i.e., batteries, belts, cabin filters, windshield wipers, tires). See one of our new or used cars in person by visiting our Shawnee Mission dealership at 7951 Shawnee Mission Parkway, Mission, KS, 66202. Give us a call with any questions, and check out our about us page. We are looking forward to serving your automotive needs.